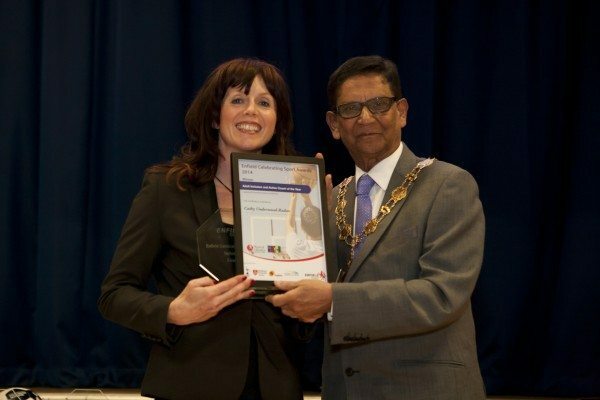 Here I am pictured with the Mayor of Enfield, receiving the Inclusive and Active Sports Coach of the Year Award 2014 from Enfield Council. What an honour and the day before my birthday too! Isn’t it just wonderful to know that yoga is finally being recognised as a vital tool for health and wellbeing, benefiting so many regardless of age, gender or ability? And a yoga teacher receiving a sports award? Sounds really unusual doesn’t it? But that’s just the way I like to do business. I love to think out of the box and devise creative solutions that will make yoga more accessible to the wider community. However, the greatest reward is knowing that people are seeing and feeling the benefits. So, thank you Enfield Council, service providers and service users, children and adults, mums and dads. Thanks for thinking ‘out of the box’ with me, exploring and trusting that yoga really will change your life for the better. Thought of the day: Love what you do, do what you love!